You must be in environment where MS Exchange server is deployed .. in my case I am running MS Small Business Server 2008 with MS Exchange 2007 and Outlook 2007 . We have one shared mailbox account where all customer emails are received and we need to access this account by additional 4 people in department. 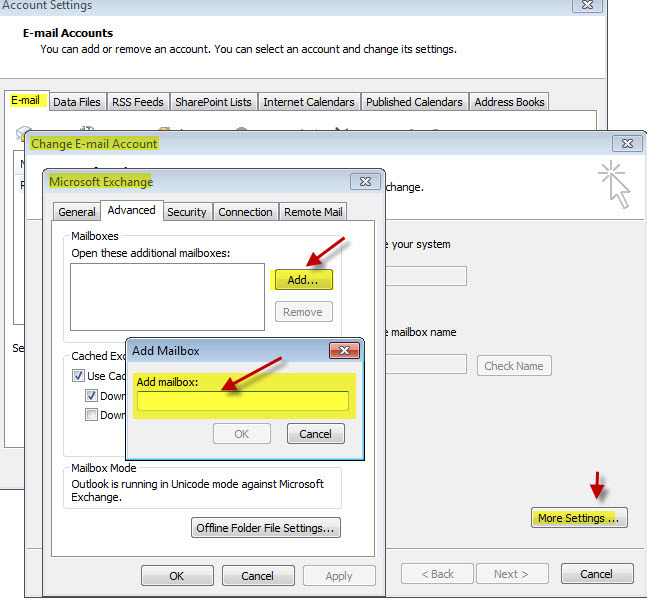 Once the correct permissions are set on this mailbox for these 4 users in MS Exchange on SBS 2008 you should be able to add this (another) user’s account into your Outlook. Once done just close the window and you should now notice the additional user mailbox in your Outlook.